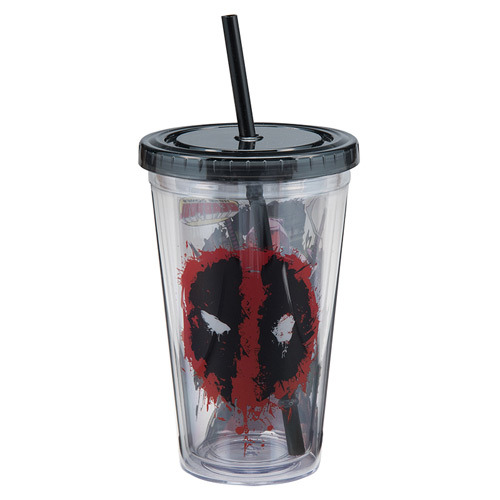 In the bold and bright designs, the Merc with a Mouth is all over this BPA-free Deadpool 18 oz. Acrylic Travel Cup. The 6 1/4-inch tall insulated double-wall cup resists condensation and features a screw-on lid with a reusable straw. Hand wash only. Not dishwasher safe. Do not microwave. Ages 13 and up.